In the early hours of the 16th June 1940, while on patrol in the North Atlantic 230 miles off the Faroe Islands, HMS Andania was hit by a torpedo fired from the U-boat UA. After the damage was assessed it was realised that the flooding was widespread and despite all the pumps operating, the water level was rising. 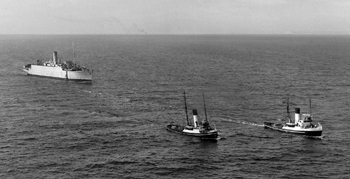 Around two hours later, with the arrival of the Icelandic trawler, Skallagrinur, Captain Bain of the Andania, ordered that the ship should be abandoned. 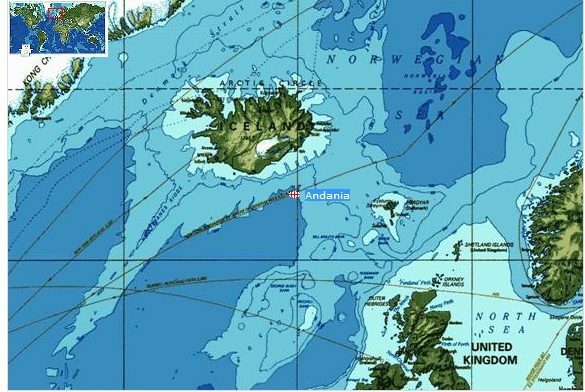 The Skallagrinur was on its way to Hull with its catch of fish, when it had responded to the SOS call from Andania. Although now seriously overloaded, all of the 353 crew members from the Andania were picked up, with no loss of life. At 6.55 am, the Andania was standing vertical in the water and within a minute she sank by the stern. 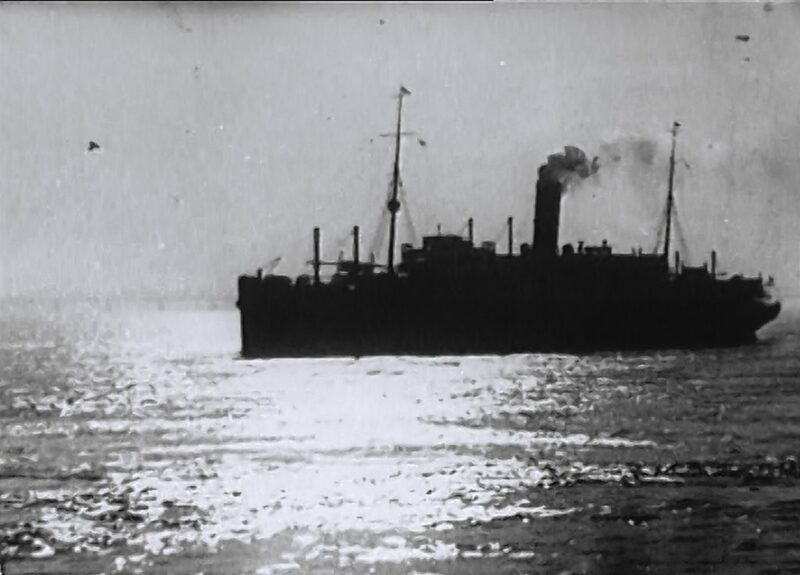 Much to the relief of the skipper of the Skallagrinur, the crew from the Andania were subsequently transferred to the destroyer HMS Forrester. 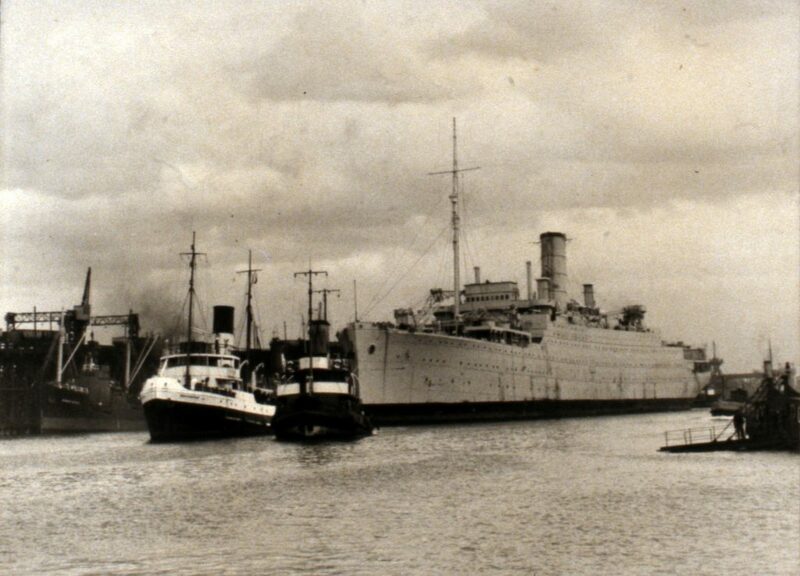 At the end of the war HMS Wayland went to Bombay and underwent a major refit until February 1946 when she set sail for Britain. The voyage home was dogged by mechanical problems and she did not arrive in Gareloch, until early April. After this she was laid up pending disposal for about a year in the River Dart and was finally broken up at Troon, Scotland, in 1949. The photographs show her leaving for Troon on the 4th February 1949. (Copyright P. Watts). 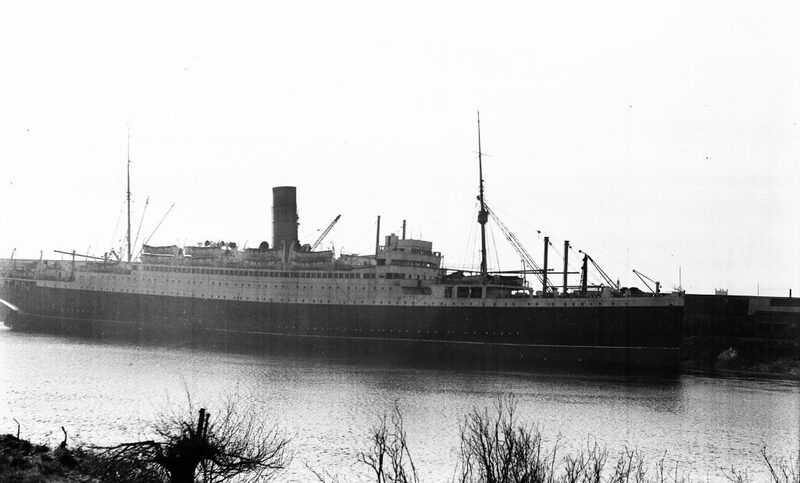 In September 1947 the Ascania returned to Cunard, the only one of the A class liners to do so and was one of the best-known liners on the Canadian passenger service, continuing to sail from Britain to Canada until 1955. In October 1956 it was announced that the Ascania was to be withdrawn from service but the Suez Crisis gave her a slight reprieve. 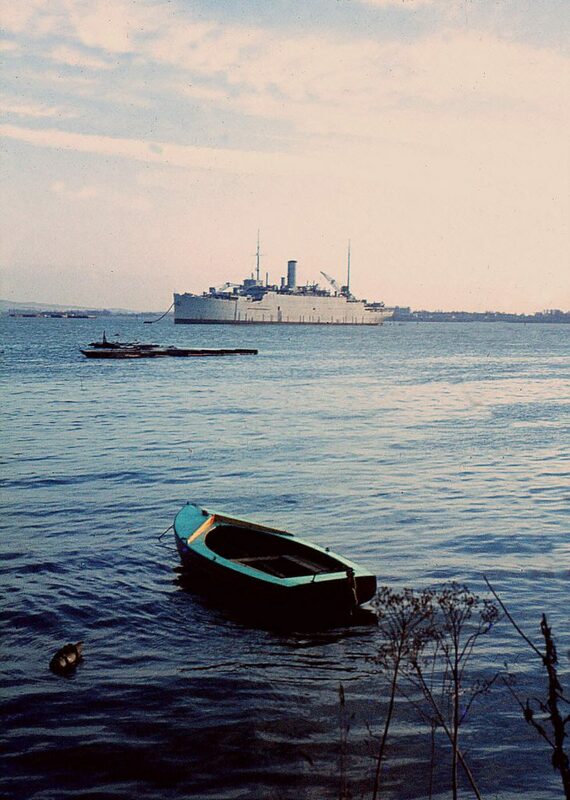 She made two trooping voyages to Malta and then Ascania was sold to the British Iron & Steel Corporation as scrap, arriving in Newport, Monmouthshire on the 6th January 1957 for demolition by the J. Cashmore Company. 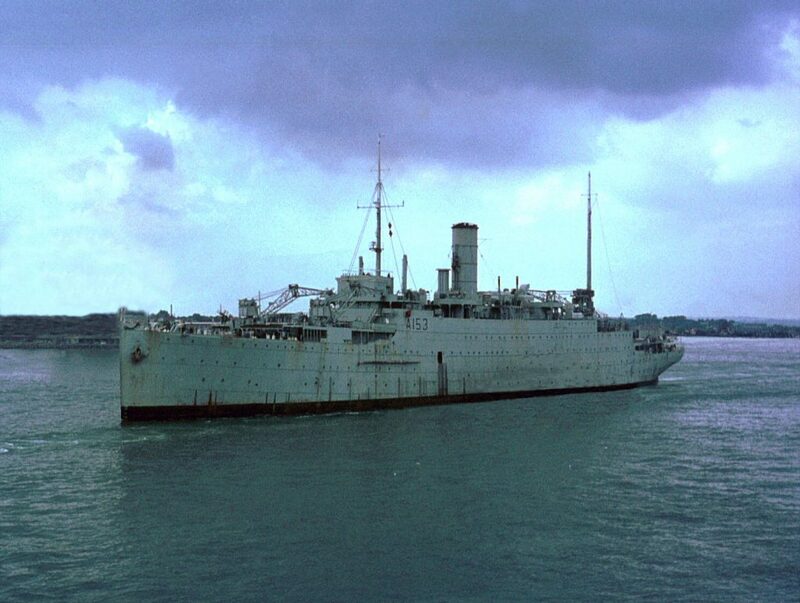 On her return from Singapore in late 1946, HMS Alaunia spent the remainder of her career at Devonport and ended her days as a static training ship for engine room personnel under training at Plymouth. In September 1957 she was sold to Hughes Blockow Shipbuilding Company for scrap and arrived in Blyth Harbour, Northumberland for breaking up on the 10th September 1957. Two photographs of the heavy repair ship HMS Alaunia arriving in Blyth Harbour, Northumberland on the 10th September 1957. (Copyright Northumberland County Archive). 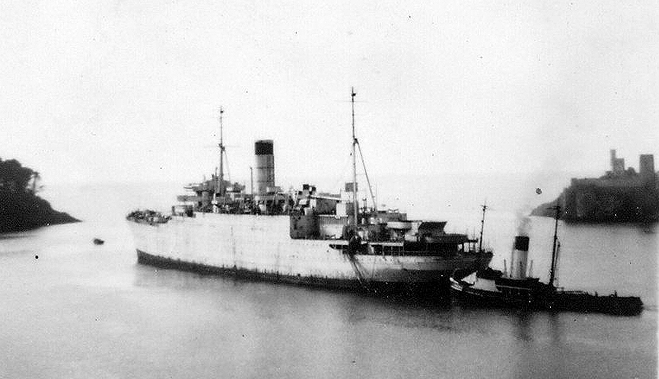 Having survived a collision with an iceberg in July 1941 and being hit by 2 torpedoes from U Boat U123 in October 1941, the Aurania went on to become the heavy repair ship HMS Artifex. In 1955 Artifex was paid off into the reserve fleet and based at HMS Caledonia where she was used as a tender. Finally laid up at the dockyard and placed on the disposal list she was eventually sold to Italian ship breakers, on the 28th December 1960. On the 7th January 1961 she left Rosyth under tow, bound for the ship breakers at La Spezia, Italy. 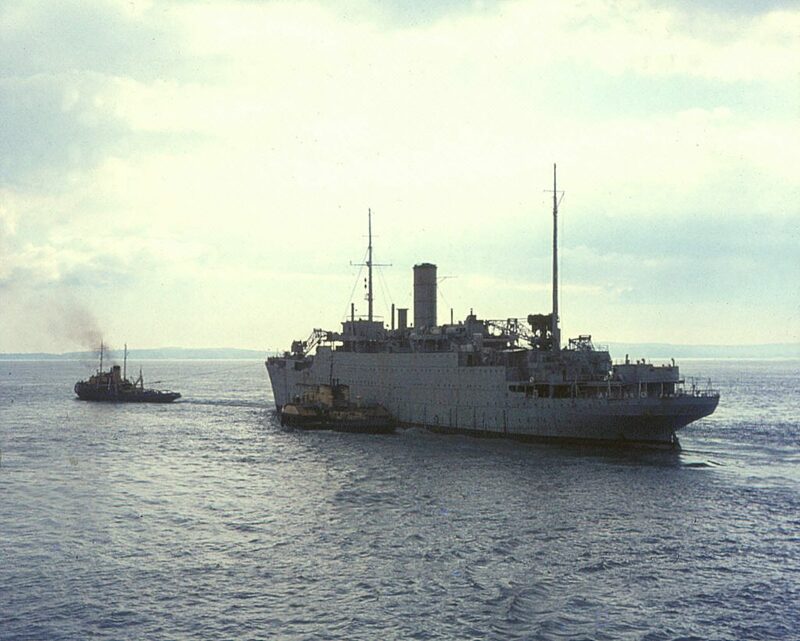 The heavy repair ship HMS Ausonia was sold to a Spanish ship breakers and on the 13th November 1965 she left under tow for Castellon and the cutting torches of the scrap yard. She had given a total of 44 years service and so past the last of the Cunard White Star, A Class liners. The scrapping of the Ausonia was reported in the Glasgow Herald newspaper on the 4th August 1964.